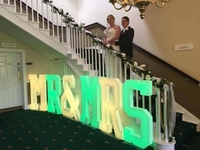 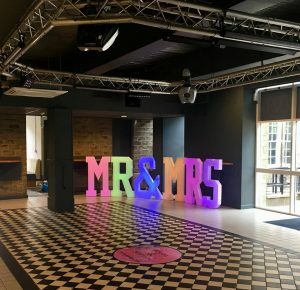 Our 4FT letters come with a remote control that can change the colour pallete or allow a strobe motion for your evening function. 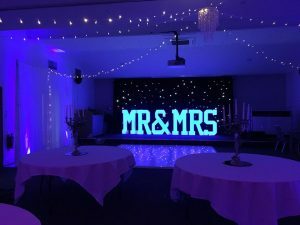 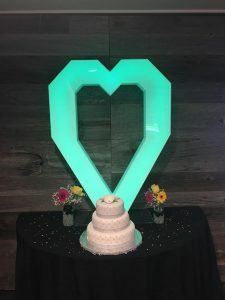 Our Large light up letters are unique and versatile. 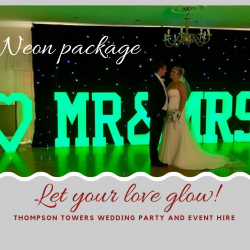 They make a stunning backdrop for your photos and transform your evening venue with a warm glow at night. 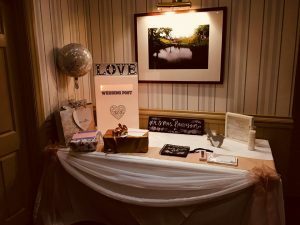 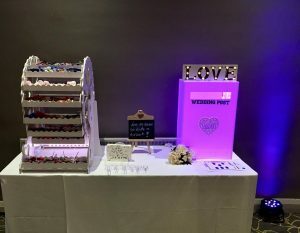 We aim to provide stunning finishing touches to your special day. 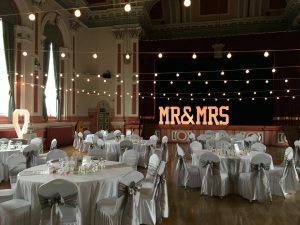 Don’t underestimate the ambience that can be provided by the right lighting.